Ceramic tile relief of a lion, symbol of the goddess Ishtar. 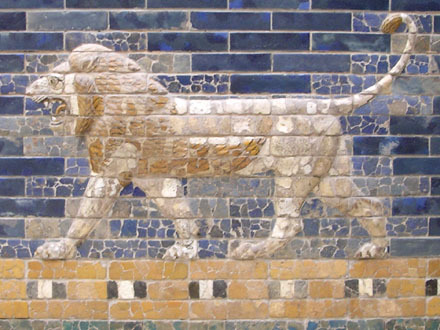 From the Ishtar Gate, Babylon. Built during the reign of Nebuchadnezzer II, 6th century BC.